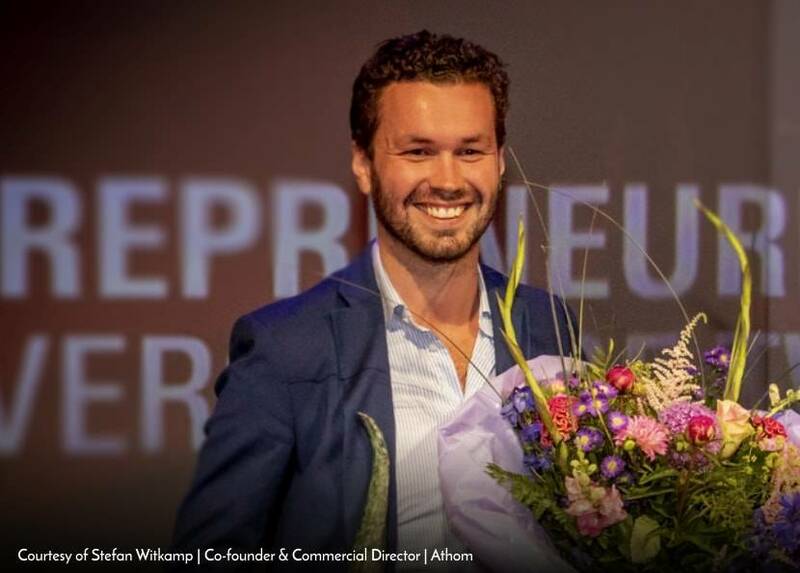 With an aim to make technology connected, fun and easy to use, Stefan Witkamp along with Emile Nijssen incepted a company named Athom. The company created a product called Homey which allowed people to use their creativity to improve the world around them. In an exclusive interview with Beyond Exclamation, Stefen Witkamp shares his journey towards being a visionary leader and beyond! 1: What seeded the vision to create a world where all technology is connected, fun and easy to use? The inception for our vision, creating a world where all technologies are connected, fun and easy to use, came from the frustration of the world that had not yet arrived. We were frustrated with the fact that devices at home were not easy to control, let alone fun. It was frustrating to see great technologies embedded in good products, only to create a mediocre user experience. At the time, it was 2011, devices were beginning to get wireless more and more, with some even being called ‘smart’ (read: accessible via your smartphone). However, this did not mean that you could have a single control center for your home easily. It did not mean that devices ‘talked’ with each other to make sure whether they are working in sync. Basically, all it meant is you had a button in your phone or in your hand (or lost somewhere on the couch), instead of on the device itself. Now, for some devices, this is already a huge improvement. I mean, can you imagine a TV without a remote? Having to stand up every time you wanted to change the channel or the volume? For other products, it can be more of a gimmick. In any way, we come from a technologist background. We were students at a technical university in the Netherlands. We knew what power these technologies hold, and that technology could and do much better in creating a holistic, fun and seamless user experience to control and manage your home. So we got fiddling. We started with a hobby project inside a student dorm. Controlling lights, music, the PC and other stuff like fans through a central system, using wireless technologies such as infrared and radio frequency waves. We liked it. Others liked it, but it wasn’t stable enough to run commercially anywhere. This is what seeded our vision. If we liked this system, and others who saw it did too, this is something that we could let everyone enjoy! Coming from our own experiences and frustrations we wanted to give everyone the tools to be able to be creative with their wireless devices at home. To be in control in a convenient and fun way. 2: What have been the best parts and toughest parts of your journey? Brief us about the marvelous journey of your company. When we looked around at systems that were supposed to deliver this experience, we were very underwhelmed with the state-of-art. It was 2013 back then, and if you really wanted the experience we described, you basically had to be an advanced programmer to realize a setup. And, even then, you would need hardware with these wireless radios. So we set out to create this ourselves. Equipped with our several years of experiences, fueled by our vision to translate it into reality, and aware of the technological side of the equation we created the first Homey prototype, and set up a crowdfunding campaign on Kickstarter and launched our idea into the world. And from there the real journey started. After raising over 200.000 Euros (around 270k USD at the time) from over a thousand supporters, we were ready to make our product. We had our vision, our prototype, some funding, our community and our optimism. The combination of the latter is both a blessing and a curse. Because of our optimism and community, we were able to realize our vision, and share that with others. However, timelines in developing new products are hard, and we heavily underestimated the complexity our product would need to have. 3: We recognize Homey as more than just a product. More like a statement. A statement that the world should be open, creative and connected. Brief us about Homey. How exactly does it help in connecting the world like never before? An open development platform, integration of eight wireless technologies, a solid software operating system… We were building something as complex as an iPhone with a very small team. We definitely learnt that in these situations, expectation management of your community and backers is key. We have done our best, but probably could have done even better – certainly in hindsight. It’s really tough to have to tell your most enthusiastic supporters that their product is delayed (again). It’s hard to fight with these deadlines internally and draft new ones, which you hope you’ll make. But in the end, there is no better feeling than having a vibrant community of people that are truly enthusiastic and happy with a product you’ve built. And this happiness, that’s what you do it all for. Our multi-radio hardware makes sure Homey is able to talk on all frequencies with all devices. Our user interfaces create a coherent and usable system, for everyone. 4: How has your life changed since forming Athom? Now when this started, me and my co-founder, Emile, were students at the end of our Bachelor’s Creative Technology. Now we run a company with a complex technological product that is sitting on 250+ store shelves, online stores and in a vast amount of people’s homes. That has allowed us to learn a lot. About technology and about business, but more importantly about people and the world as a whole. And we are ever grateful for this experience so far. But we don’t stop learning now. We have huge plans still. At the moment, our company is still tripling every year, and we believe we can reach much higher growths still. Our main mission is simple: achieve our vision, and spread our product to as many people as possible. We want everyone to explore their creativity, and enjoy the fun and convenience that a well-connected home can bring. 5: How do you plan to achieve this vision of everyone enjoying a connected, fun and creative home? What do you mean by this? This means a lot of developments that we are constantly realizing. First of all, we are doing a major overhaul of our entire user experience, focusing purely on our brand-new smartphone app. This new app puts all of Homey’s power in the palm of your hand. Never before was it this easy to link devices together and automate your home. Never before was giving access to a neighbor, friend or family member so easy, yet secured. Never before was managing and controlling your home so holistic, powerful and fast. With this new experience, many more people can enjoy Homey, as it has become even easier to use than our old, desktop-based interfaces. And to get it to even more people, we are going to add languages and geographic regions – fast. We will include translations into some of the Western world most popular languages, including local support for voice assistants, which are great interfaces for quickly getting a custom action done in a connected home. We will be available in retail in more and more countries. We will work together with device manufacturers to make sure their wireless devices talk with Homey, including local/national brands. Since we come from the vision that everyone should be able to enjoy this connected, fun and creative home, we will do everything we can to enable more people to use Homey and enjoy the benefits. And for us, that mission is not complete until everyone is able to truly express themselves in their own, perfect home.